"Space Eyeful: A Virtual Space Microscope"
This collection presents digitised microscope images of rare and usually inaccessible extraterrestrial meteorite samples. The project was funded by the EUROPLANET consortium and is a collaboration between The Open University, The Natural History Museum, London, The Natural History Museum, Vienna and NASA’s Meteorite Working Group (MWG). Meteorites fall on the Earth every year, bringing with them information on the make-up of the Solar System including the Moon, Mars and Asteroids. 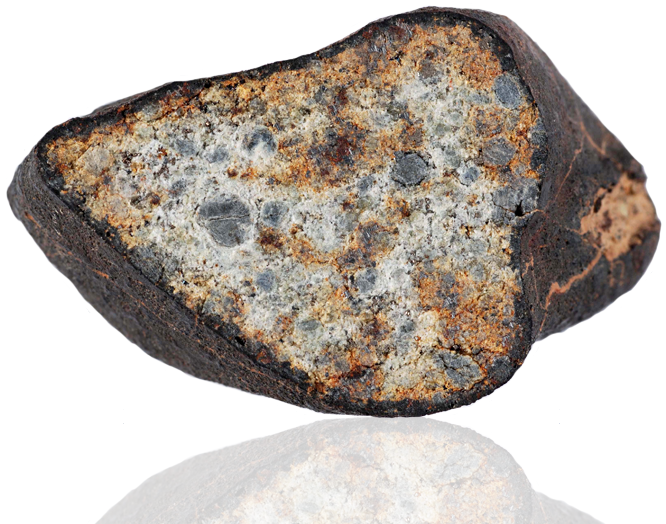 The collection consists of meteorite samples from the EUROPLANET partners and covers the main groups of meteorites that fall on Earth, in particular focusing on chondrites and achondrites.